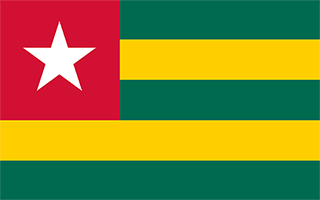 N 6° 29' 18" and E 1° 0' 24"
Lomé in Maritime is located in Togo about 28 mi (or 45 km) north-west of Lome, the country's capital town. Current time in Lomé is now 07:26 PM (Monday). The local timezone is named Africa / Lome with an UTC offset of zero hours. We know of 6 airports close to Lomé, of which two are larger airports. The closest airport in Togo is Lomé-Tokoin Airport in a distance of 28 mi (or 45 km), South-East. Besides the airports, there are other travel options available (check left side). There are several Unesco world heritage sites nearby. The closest heritage site is Royal Palaces of Abomey in Benin at a distance of 82 mi (or 133 km). While being here, you might want to pay a visit to some of the following locations: Lome, Ho, Lokossa, Dogbo and Atakpame. To further explore this place, just scroll down and browse the available info. Let's start with some photos from the area. Avé is a prefecture located in the Maritime Region of Togo. The prefecture seat is located in Kévé. Located at 6.41667, 0.916667 (Lat. / Lng. ), about 8 miles away. The Battle of Agbeluvhoe (or Agbéluvhoé or Agbeluwoe), also known as the Battle of Tsewie, was fought during the First World War between invading British soldiers of the West African Rifles and German troops attempting to harass the advancing allies through the rail network in German Togoland on 15 August 1914. The plan failed, ending in an ambush and the Germans suffered heavy losses. Eventually after limited resistance from the Germans, the colony was surrendered on 26 August 1914. Located at 6.6595, 1.16733 (Lat. / Lng. ), about 16 miles away. These are some bigger and more relevant cities in the wider vivinity of Lomé. These are the most popular locations in Togo on Tripmondo.